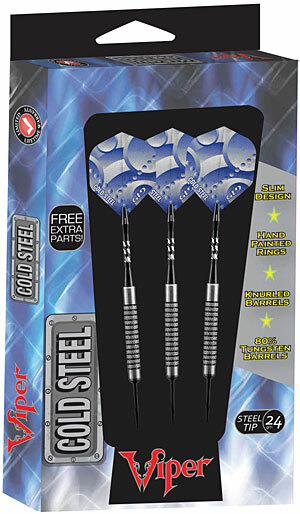 80% Tungsten Barrels have a slim profile, allowing for tighter grouping of shots which increase scoring. 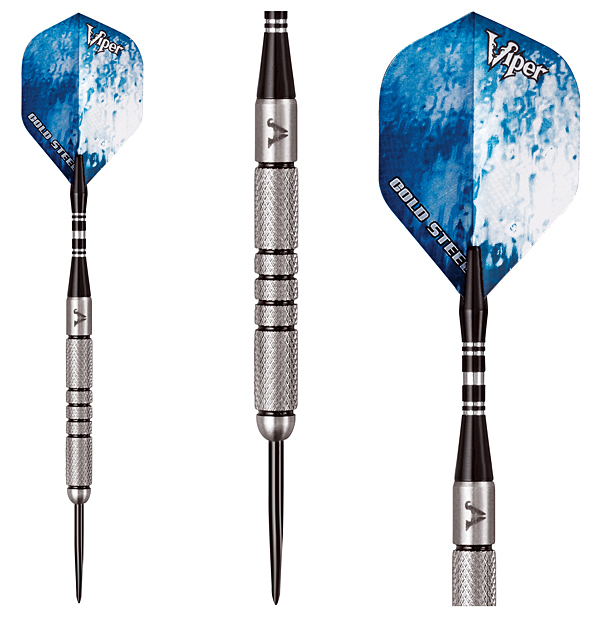 Knurled barrel with grooves and rings provides an excellent and consistent grip throw after throw. Aluminum Color Master Shafts feature locking holes, the most secure way to fasten shafts to barrels and improve stability. 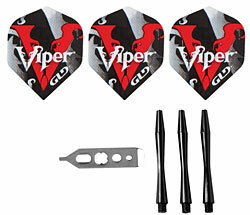 Stable wide glide dart flights feature frigid cold steel graphics for an arctic look and feel. 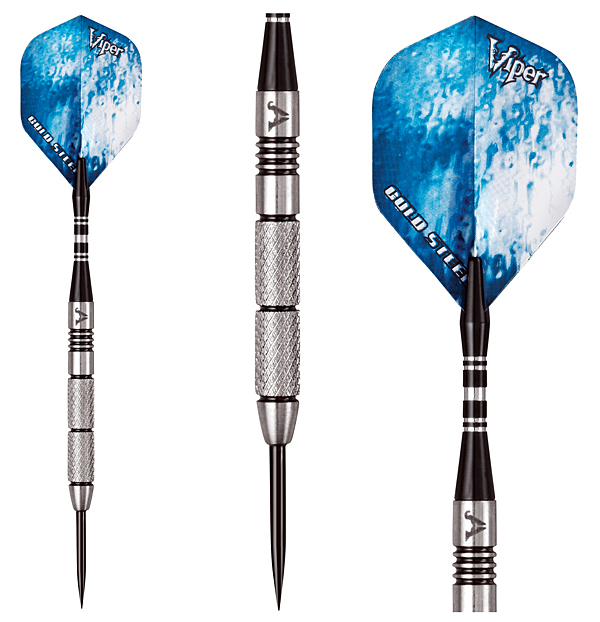 Includes six flights, three extra nylon replacement shafts, and Dart mechanic repair tool.